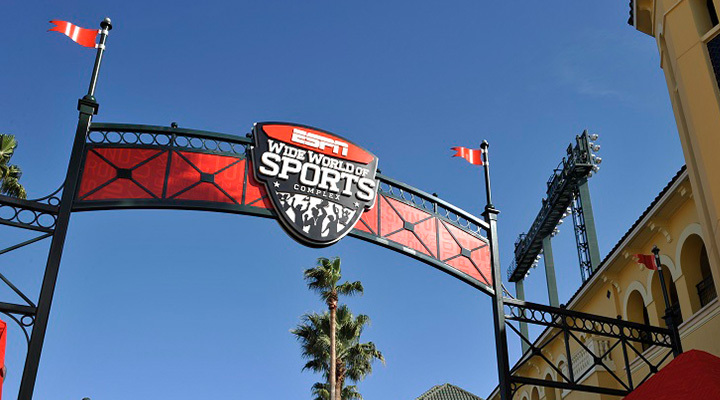 The ESPN Wide World of Sports Complex at the WALT DISNEY WORLD® Resort is a mecca for athletes of all kinds. The ESPN Wide World of Sports Complex is home to world-class sports facilities and venues. Competitive wrestlers, baseball players, cheerleaders and other athletes flock here for competitions. The Atlanta Braves hold their Spring Training at the ESPN Wide World of Sports Complex. Disney Night of Joy, a Christian rock, pop and gospel concert series is held at Champion Stadium and the HP Field House. And, of course there is so much more. If you’re interested in visiting the ESPN Wide World of Sports Complex, we recommend checking the calendar to see what events will be happening during your visit. Coaches, players and fans all come together at these state of the art sports facilities.